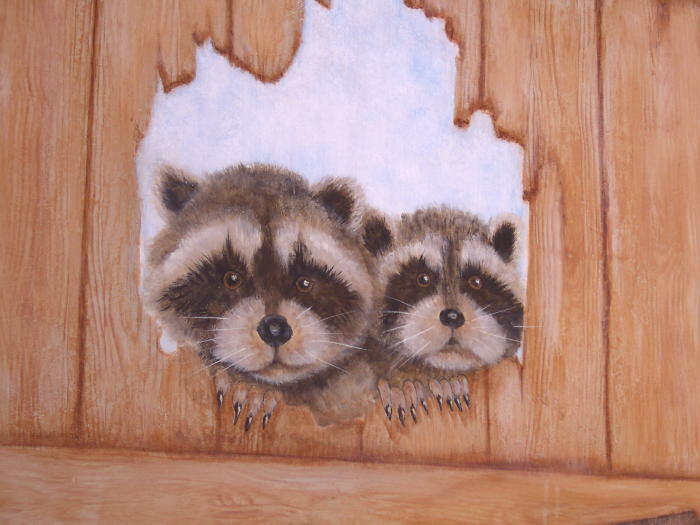 Below is a close up picture of the baby raccoons looking in through the weathered door. 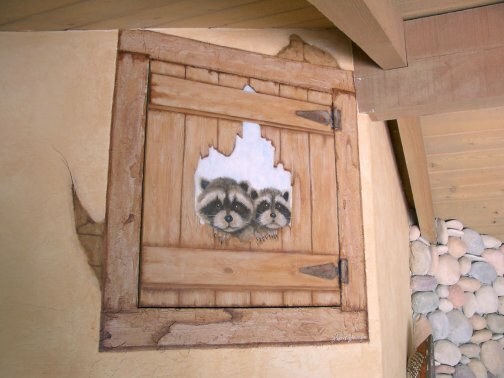 The mural hides a real attic access door. This client wanted the babies to resemble her chow puppy dog.